Roger Priddy's passion for teaching children in an entertaining and engaging manner has led him to produce some of the most successful non-fiction books for young readers. Follow Me - Around The World is the latest title in the Priddy Books collection. 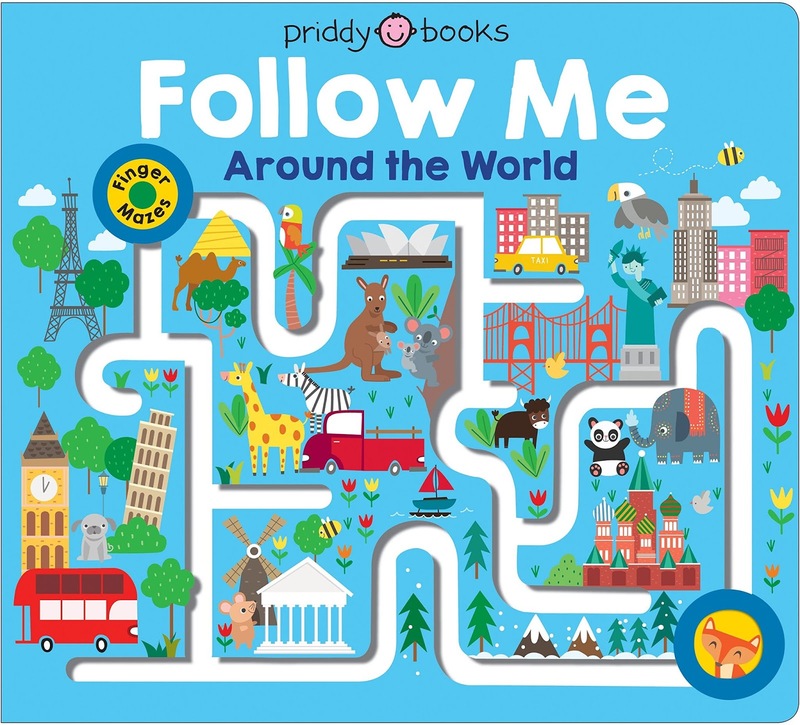 It takes children on a journey around the world - each page features a different destination; North America, South America, Africa and Australasia. The reader is able to trace the grooved paths on each page as they follow Fox on his journey around the world, making this a fantastic interactive story. The thick pages in this board book are durable, and the illustrations are colourful and feature landmarks for your child to recognise along the way.